Winter’s coming. You know what that means. It’s time to bust out the snow gear and start hitting some of the best snow trails. Whether you like to stick close to home or like to take your gear on the road, we can tell this season is going to be great for all snow sports enthusiasts. But first you need to get the right gear, and many people turn to Arctic Cat for their perfect snowmobile or other powersport vehicles. But this isn’t just because of their cool name. Arctic Cat comes with a plethora of awesome features that make each snowy outing that much more exciting. This means a powerful 2-stroke engine, as well as an innovative drive system and industry-defining handling system with tracks and torque to help you conquer any obstacle. But when it comes to snow, one of the most important technologies you’ll want to know about is the suspension. Don’t let the powder fool you. Snow can lead to a bumpy ride, especially when you’re going over areas that are more compact. That’s why you’ll want your machine to take some of the impacts off your joints while still being able to handle it with ease. That’s why Arctic Cat suspension has been meticulously worked and reworked to give you only the best of the best. Don’t believe us? Stop by Cook’s Recreation Motorsports in Tully, New York, near Syracuse and Auburn, and ask to see one of these machines up close and in person. 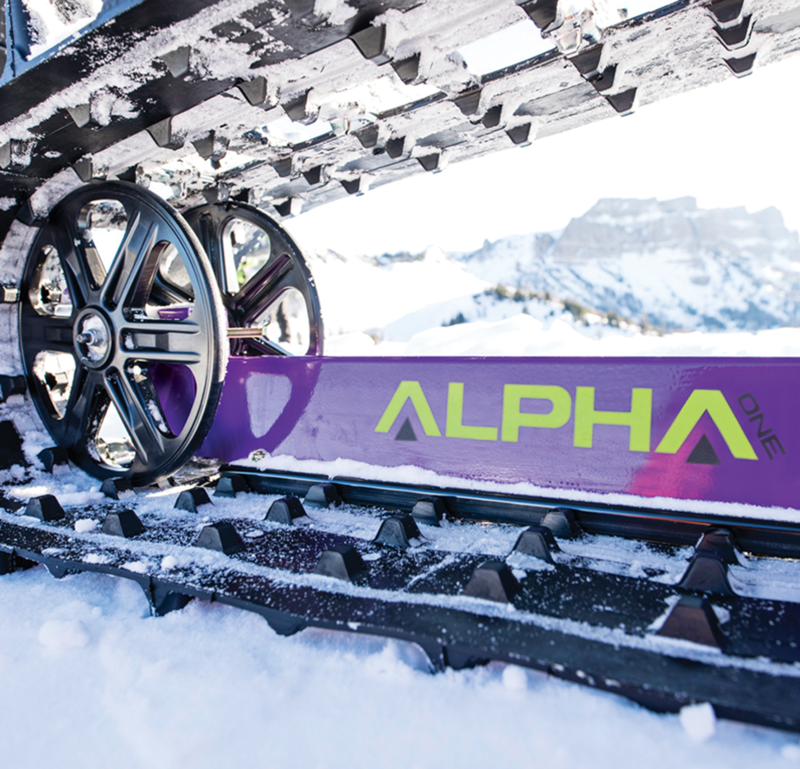 The Alpha One comes with the revolutionary Alpha One single-beam rear suspension. What this means for you is a system that lets the track flex with the terrain, which can come in handy when you hit particularly deep snow while your sidehilling. It’s also lightweight so it’s incredibly easy to handle. The iACT suspension is uniquely designed for on-the-fly electronic handling. You’ll be able to adjust the system from one moment to the next with push-button controls. The ARS (Arctic Race Suspension) combines tall ski spindles with widely spaced A-arms for the perfect blend of rigidity and strength to give you the smoothest handling, no matter how rough the trail is. Still not sold? Then consider some of the other awesome features, like the Arctic Drive System that’s designed to give you smooth shifting, optimal performance, and maximum durability. You’ll also get one of the superior braking systems, like the all-new Stealth lightweight master cylinder brake system to give you more power with less effort. Or maybe you’ll like the award-winning gas shock system that gives you multiple compression settings. And of course, there’s the sleek, finished look that you’ll want to show off every time you hit the snow. The all-new 2019 models feature the Arctic Drive System, a belt driven CVT for maximum durability and performance. These models come with the 8000 C-TEC2 Engine, with dual stage injection for faster throttle response and lower oil consumption. The Crossover line will also come standard with a telescoping mountain handlebar that is fully adjustable for your preferences and has a grab strap to help you out. Check out our catalog below to find your next Snowmobile! The Arctic Cat Mountain models are your back-country, deep powder kings. All new for 2019, the Mountain models featured a 1.125" lowered driveshaft that will give you more floatability and maneuverability than ever before. In addition, these models feature an award-winning, lightweight platform that lets you enjoy every bit of horsepower that it has to offer. This is one model that you'll want to test ride. Check out our catalog below to find your next Mountain Arctic Cat! 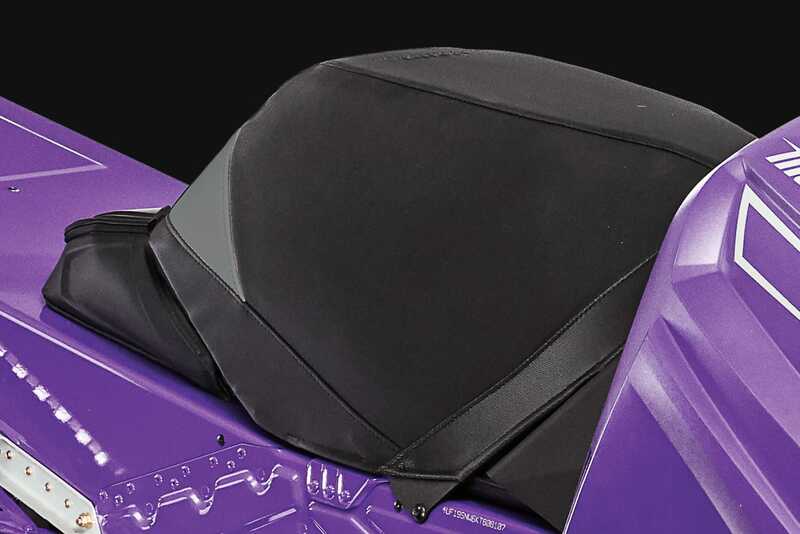 The 2019 Arctic Cat Trail snowmobile features an on-the-fly electronic suspension system that allows you to adjust the suspension between three different settings. This system utilizes an easy to see dual-screen and comes with push-button controls. Check out the catalog to find your Trail Arctic Cat! The Arctic Cat Utility series is ready to do it all with the Proute Chassis. The system is 20" wide and ready to groom, tour, tow, and patrol the slopes. These models come with a built-in cargo rack and Xtra-Action rear suspension for ultimate performance. Check out the catalog to find your Utility Arctic Cat! With the lightest and strongest chassis in Arctic Cat history, the 2019 Touring snowmobile is the long-distance king of the snow. These models come with a slide-action rear suspension setup that allows you to adjust your ride between three different settings, giving you the performance and feeling that's right for you. Check out the catalog to find your next Touring Arctic Cat Snowmobile! The 2019 Arctic Cat Youth snowmobiles take after their adult models with similar suspension and handling. Youth models retain the exciting feelings of a full sized snowmobile, with a focused design on simple, easy-access controls, led lights, and convenience. With a 93" Cobra track, you won't need to worry about your younger friends getting stuck behind without you. Check out the catalog to find your next youth Snowmobile!